Roasted red pepper is an easy additon to salads, soups, dips and main dishes. 2 Are Bean Sprouts Good for You? In addition to their bright color, sweet taste and velvety texture, roasted red peppers are a low-calorie addition to a dish that comes chock-full of nutritional benefits. Easily added to any number of dishes, including pastas, soups and salads, roasted red peppers can be made at home or purchased pre-made at the grocery store. They pack a huge flavor and nutrition punch, making them a must-have addition to your fridge. A half cup of canned, roasted red peppers contains only 25 calories per serving. The same sized serving contains no fat or cholesterol, and has 1 gram of dietary fiber and 1 gram of protein per serving. While a half cup serving contains 140 milligrams of sodium, it also contains 35 percent of your daily recommended intake of vitamin A, 80 percent of your daily recommended intake of vitamin C and 15 percent of your daily recommended intake for calcium. If you decide to make your own roasted peppers at home, you can significantly reduce the amount of sodium, by not adding any salt. Due to their high concentration of vitamins A and C, roasted red peppers are a rich source of antioxidants. Antioxidants help prevent damage by free radicals — harmful compounds created by natural body processes and the environment — to cells. 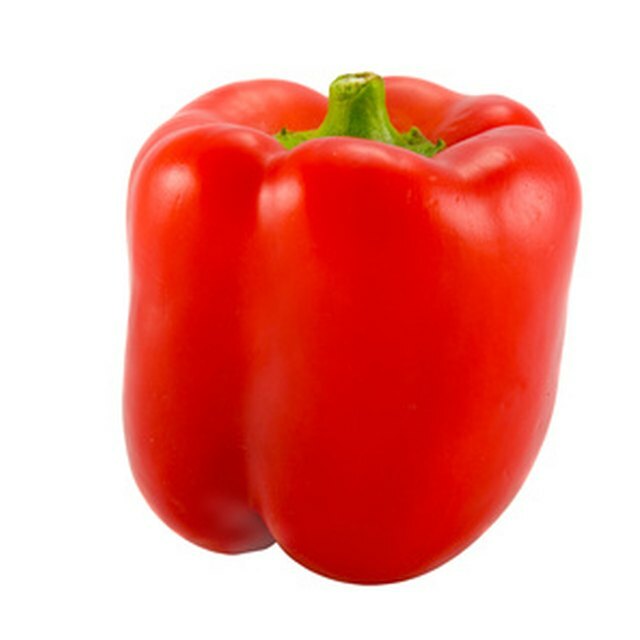 As shown by their bright red color, red peppers are rich in the pigment beta-carotene, which is converted by your body to retinol, a form of vitamin A, during the digestive process. Vitamin A is necessary for eye health and maintaining healthy skin, membranes and soft tissue. Vitamin C provides support for your immune system and both vitamins A and C help your body repair itself after it has been injured. As a low-fat, low-cholesterol, high flavor food, including roasted red peppers in your regular diet can help you eat healthier. With all of that extra low-calorie flavor, there’s less need to add extra fat or salt to make a tasty dish. Consider adding roasted red peppers to a sandwich or salad instead of using mayonnaise or a high-fat, creamy dressing. As a traditional component in Mediterranean cuisine, you may also be inspired to adopt a Mediterranean diet, which emphasizes eating more fruits, vegetables, legumes and seafood as well as making use of olive oil instead of butter. If you are purchasing pre-made roasted red peppers, look for a variety that has minimal additives. In some cases, sodium is added to preserve color and taste in canned foods. If you are in doubt, make your own healthy roasted red peppers by placing quartered and seeded red peppers skin side up on a baking sheet under a broiler. You can lightly brush the peppers with olive oil, and remove the peppers once the skins have blackened. Place the peppers in a plastic container until they are cool enough to handle, and the skins will slip right off. 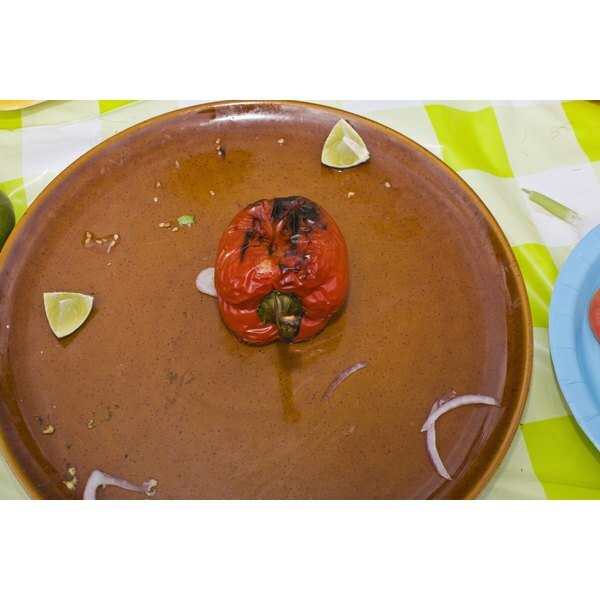 Roasted red peppers can be consumed immediately, or kept in the fridge or freezer for future use.